This glorious hour-long symphony is written in a late-romantic style with minimal dissonance. It is somewhat like good film music (that is not a pejorative description in my book!) and is truly an uplifting, inspiring piece. 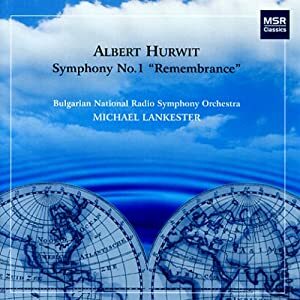 The symphony has a story behind it involving the tragedies and triumphs of mankind (specifically Hurwit's family) that, when taken into account when listening, is quite moving. It is written in four movements: I: Origins; II: Separation; III: Remembrance; IV: Arrival. The first movement begins quietly with quarter notes in the timpani. The violins introduce the simple, but noble main theme. The secondary theme is astonishingly beautiful, almost Elgarian in its nobilmente grandeur. The second movement begins violently, but the mood lightens and a klezmer band is introduced, representing Hurwitz's Jewish heritage. This movement was my least favorite and didn't seem to fit with the late-romantic style of the other movements. Still, I found the incorporation of a klezmer band interesting. The third movement is a deeply lyrical adagio that becomes almost Mahlerian at points in its intense beauty. It reaches a magnificent climax and then dies back down. The fourth movement begins with a pulsating rhythm in the violins that seems to be in 5/8 time. The brass soon enter with a fanfare-like motif, after which follows a contrapuntal treatment of a Jewish folk song. A kaleidoscope of melodies and motifs is soon presented, including a waltz-like theme and a reappearance of the klezmer band from the second movement. Before long, the main theme from the first movement is heard again, but is subject to variation until, in a blaze of glory, the nobilmente secondary theme from the first movement makes a goose bump-raising return. The pulsating main theme of the movement returns, and the brass fanfares lead us back to the home key of C major, in an ending that invigorates me for the new year to come! .....but bed beckons-its 5.50am in the U.K.
You should check it out, Colin (PM says more )! Reasonable little 'taster' of the Hurwit on his website ! My discovery of the year ? The music library in Birmingham (England !) - before you mock, may even be the only such facility left in these islands (would be most happy to learn of any other) - free to join, & allowing me to find that I did like Robert Simpson, Gavin Bryars et al (yes, even bits of Scelsi); now closed for 9 months to be re-housed in a smart new home ! Sorry, Mr. Kyjo - probably not quite what you had in mind for your thread, but if you're asking for perception-altering discoveries.... ! The discovering of the UC-Forum and the continuation on the A-M F! 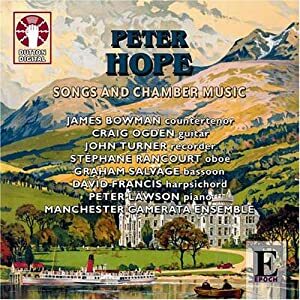 My discovery of 2012 was this disc of chamber music by Peter Hope. These are exquisitely crafted pieces, and from the start it is amazing how he gets such a full sound from sparse forces. Peter Hope is well known as a light music composer and arranger - one of his most popular arrangements being 'Mexican Hat Dance'. Since 2000 he has concentrated on more serious compositions. Hmm - Have owned the Hurwit for some time but have not listened more than once. I recall thinking the music was repetitive - but on the basis of the recommendation I will give it another go, for sure. I introduced the Raykhelson disc on another thread. 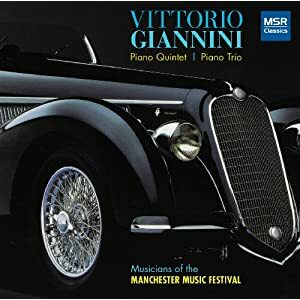 The Giannini chamber music is amazing (see also his Piano Concerto on Naxos for another New Year's treat). Agreed, Jim-the Jaell concertos are lovely Compact, tuneful works that would be prime candidates for Hyperion's RPC series, I would think! Albion's British Music Archive - Within which perhaps Fricker has been the newest and most impressive discovery. In addition I made a deliberate plan in 2012 to "discover" the "Great" composers whom (aside from Beethoven and a limited amount of Bach) I have asiduously avoided as old, boring and irrelevant. And of these "Greats" the greatest discovery has been the rest of Bach. Hardly a dud in the whole 2000+ BMWs. The cantatas and the organ music have been a particular joy. Other "Great" conposers have largely confirmed my earlier decision! One of my favourite but now totally ignored British composers. 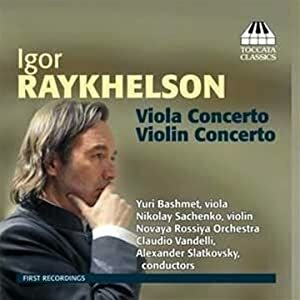 Maybe it's no great shakes, but I love a good violin concerto, and the recent discovery of the one by Ignatz Waghalter, on Naxos, is just such a one. It's kind of like a more compact take on the Karlowicz (with which it shares many features), but striking in its own right.